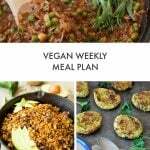 A healthy weekly vegan meal plan with a shopping list that will help you eat healthier, and will simplify your weeknights. Hi there! 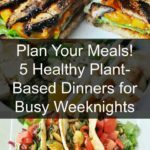 I’m back with another mouthwatering vegan meal plan that will help you feed your family a delicious meal every night of the week. It will also help you stay organized, eat healthier, and best of all, it will simplify your life. 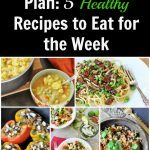 I’ll help you plan for the week, give you tips on how to prep the food ahead of time, and of course, there’s a full shopping list that you can print up and take with you to the supermarket, so you’ll only have to do one trip for the week. This week’s meal plan focuses on potatoes, beans, and rice, and a whole lot of vegetables. Each meal should feed 3 adults or 2 adults and 2 children. If you need to feed more, just double the recipes. If you only need to feed yourself, you can cut out two or three of the meals and eat the same meals a few times during the week. I suggest that you do your shopping on Sunday, that way the produce will stay fresher throughout the week. Monday’s are always the most stressful of the week because you’re coming off of a relaxing (hopefully) weekend. It’s always harder to get motivated, at least it is for me. To make Monday night’s dinner as easy as possible, make the Southern-Style BBQ Meatloaf on Sunday, that way all you’ll have to do is heat it up on Monday. 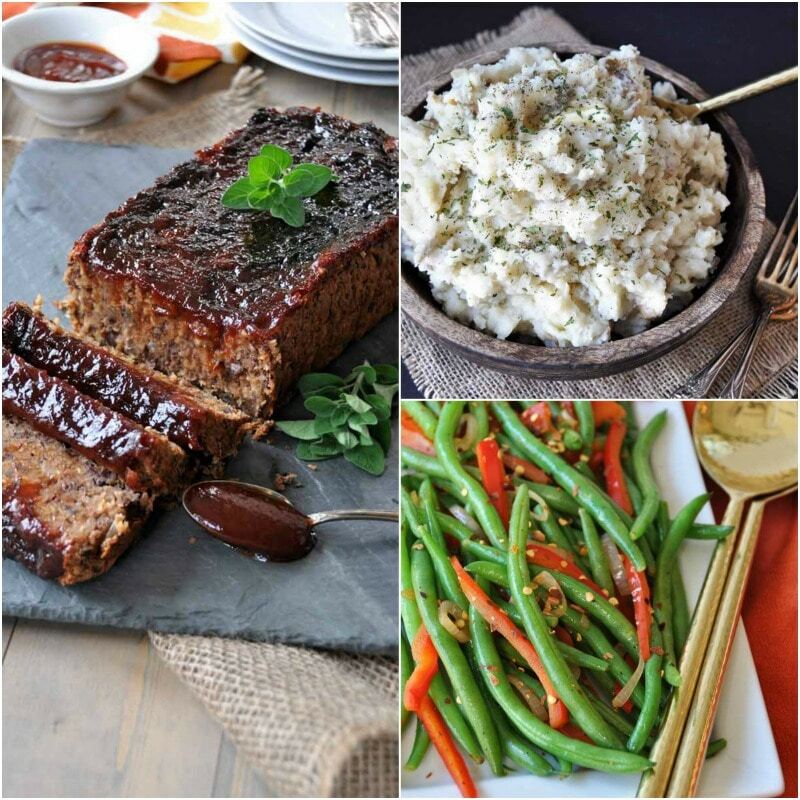 Make the meatloaf for Monday’s dinner. Make the homemade BBQ sauce for the meatloaf and the BBQ carrots if you didn’t buy it. Shred the carrots for the BBQ and store in an airtight container. Slice, dice, and chop the vegetables for the creole fried rice and the Asian rice bowl and store in an airtight container in the refrigerator. This meatloaf’s texture is as close as you’re going to get to the loaves you remember before going veggie. It’s delicious, and I get requests from my family and friends to make it for them whenever I invite them to dinner. The smoky flavor and the tangy BBQ sauce are fantastic. It’s only right to pair this with Roasted Garlic Mashed Potatoes and Spicy Sizzled Green Beans. If you made the meatloaf on Sunday, just cover it and warm it in a 350 degree oven until it’s heated through. Make sure you cover it so it doesn’t dry out. While it’s heating up you can make the potatoes and the green beans. If you’re reading this on Friday, February 24, then you know that next Tuesday is Shrove/Fat Tuesday, the day before Lent begins. 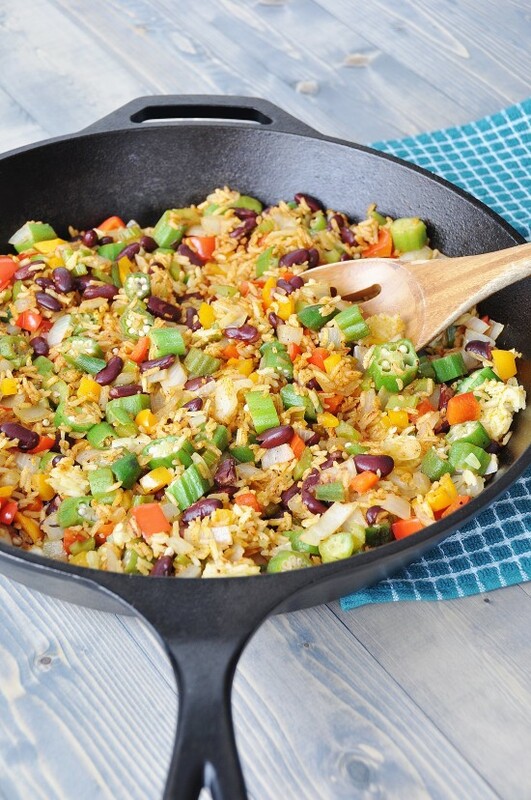 To celebrate the day I’ve chosen to make Vegan Creole Fried Rice. Sound good? I swapped the white rice for brown rice because it’s just better for you. I also prefer the chewy texture of brown over white for this dish. This is a quick and easy dinner that will fill you up fast. Make a small salad out of the greens that you bought for the salad you’re going to make on Thursday. 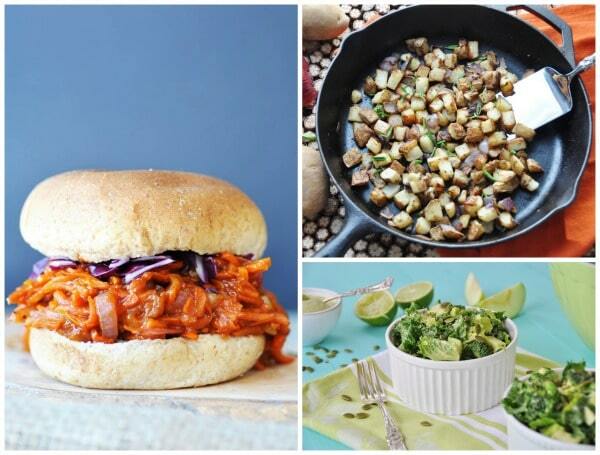 My pulled BBQ carrot recipe is the most popular recipe on the blog. It’s so easy and so delicious, and the texture is eerily similar to pulled pork. This goes so well with the skillet fried potatoes and the green garden salad. 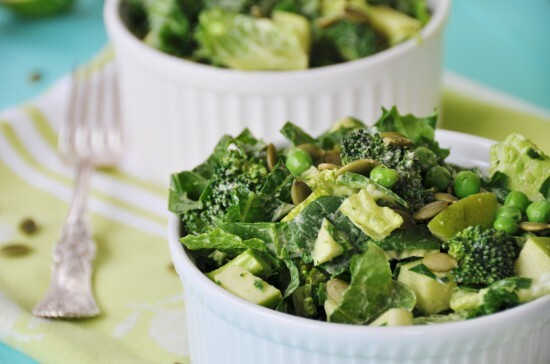 Make a smaller salad tonight so you have enough greens to make another for tomorrow’s dinner. 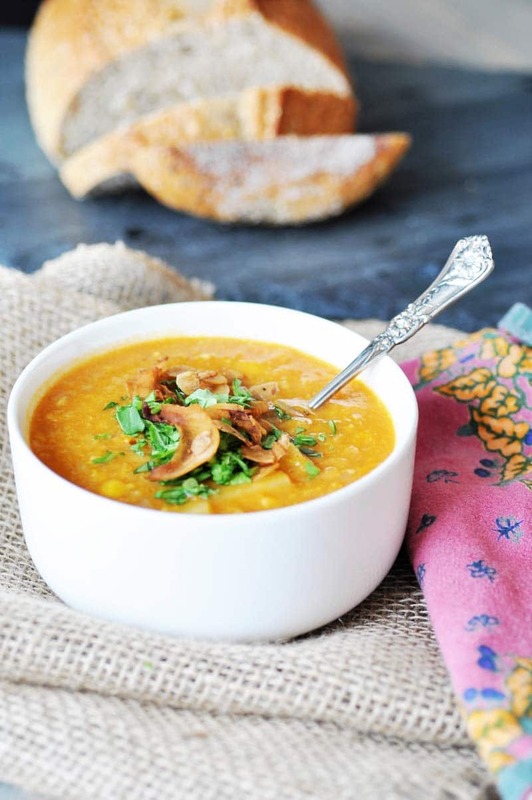 This creamy corn and potato chowder is so comforting and filling. It’s also super easy to make. The fresh and crisp green salad goes perfectly with it. 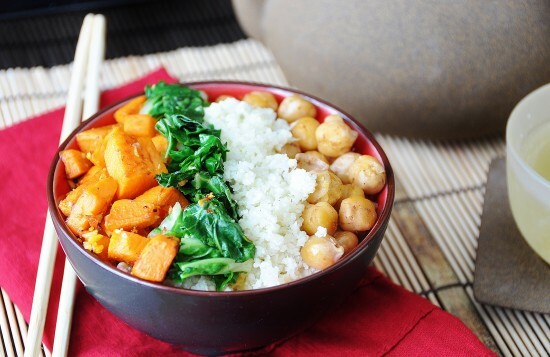 What could be better than a big bowl of savory veggies and brown rice? Forget about ordering Chinese takeout tonight, instead, open a chilled bottle of white wine and enjoy cooking a healthy and fresh dinner that’s not filled with a ton of oil and salt. NOTE! This recipe calls for cauliflower rice, I’m substituting that for brown rice. If you want to make cauliflower rice you’ll need to add a head of it to your shopping list. 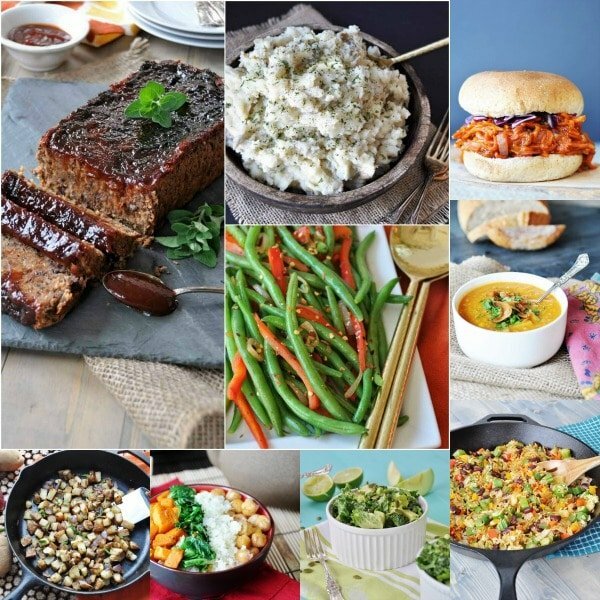 There you go, a week of healthy and delicious dinner recipes. Save yourself time during the week and follow my meal prep advice. 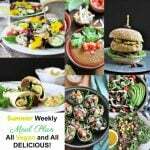 Have a wonderful weekend and enjoy next week’s meal plan. 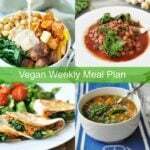 A healthy, easy, and delicious vegan meal plan. 5 dinner recipes for the week. 1 pepper in adobo sauce – remove the seeds (the pepper is optional, this will make the sauce extra spicy, if you use it make sure to remove the seeds) Note: Don't add this if you don't like really spicy food. Note: I substituted the jasmine rice and cauliflower rice for brown rice. If you don't want brown rice you'll need to add jasmine rice and a head of cauliflower to the shopping list. Great meal plan, thanks! 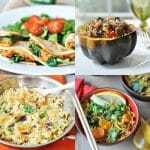 All the recipes look wonderful, especially the Vegan Creole Fried Rice! Hi Linda! I'm looking for the vegan Creole fried rice recipe but every time I click the link it says page not found. Will it be boosted again? I know this was posted forever ago, but I figured this tip might help someone else out who's looking to follow this grocery list: Add 1 avocado to the given shopping list, as it's not listed and it's used to make the dressing for the Green Garden salad.